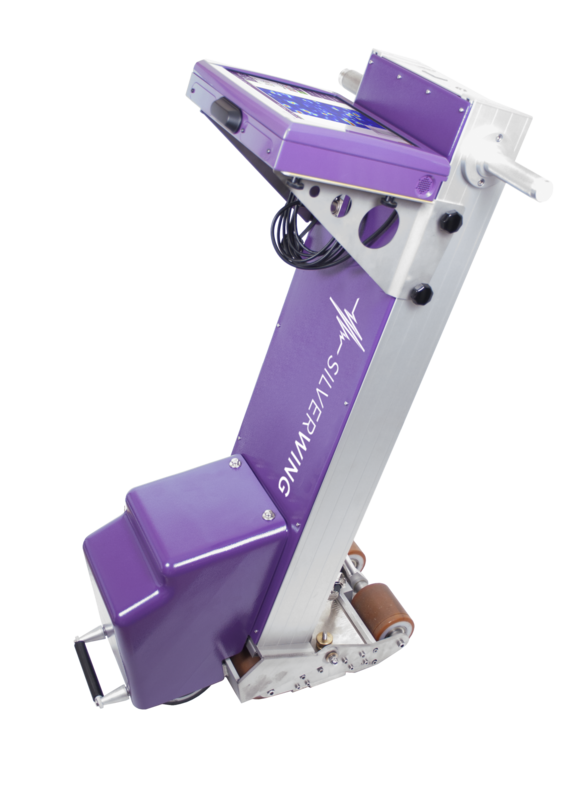 The Floormap3Di-R is fastest tank floor scanner/tank bottom inspection system developed by Silverwing, with scanning speeds of up to 1 m/s which is twice the speed of the previous model. The Floormap will improve your inspection efficiency whilst improving accuracy and data quality. Unlike other manual “stop on defect” systems all the data is captured and stored. This data retention enables tank engineers to compare and review historically pertinent data sets to determine the optimum repair strategy. The high resolution sensor heads provide excellent probability of detection down to indications that measure 2mm in diameter. This coupled with advanced signal processing and defect classification tools significantly improves the corrosion detection and sizing capability when compared with previous generation systems. 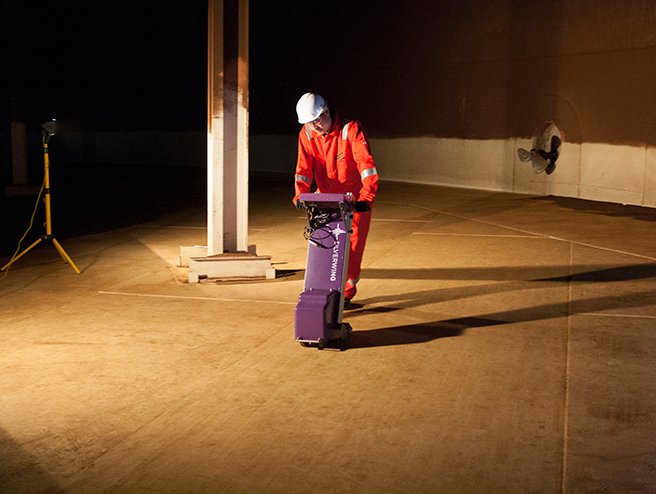 Full tank floor scanning, data recording and mapping. Custom motor, variable speed up to 1 m/s. High resolution 64 channel sensor arrays to maximise detection capability. 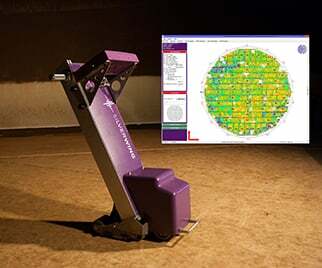 Contact us to find out more about the Floormap3Di-R or any of our other non-destructive testing equipment, or request a quote online.